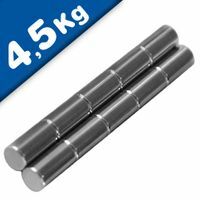 These magnetic rods can be quite useful and quite amusing. 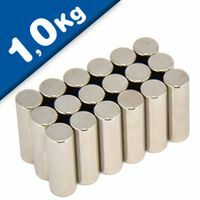 They are great for making unique magnetic sculptures . 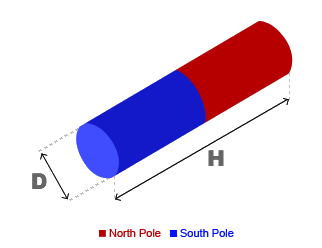 These rods are axially magnetized, so the strong North/South poles are in the center of the flat sides. 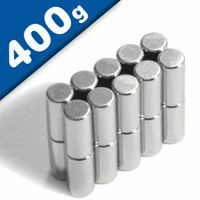 The metal coating is durable, but ALL Neodymium magnets can chip or shatter. 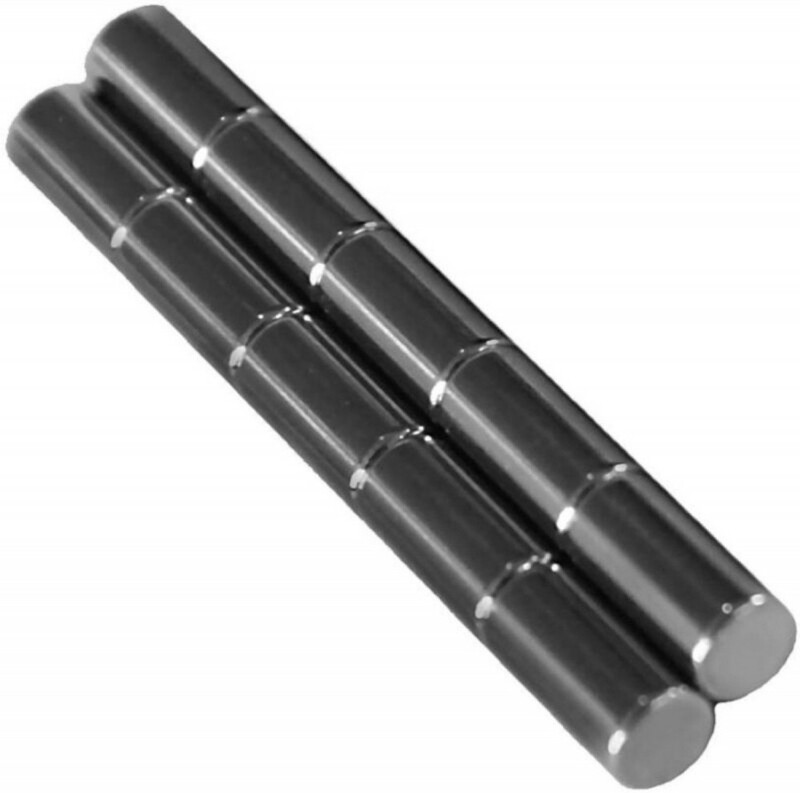 If used gently, these magnets can serve you for a lifetime. 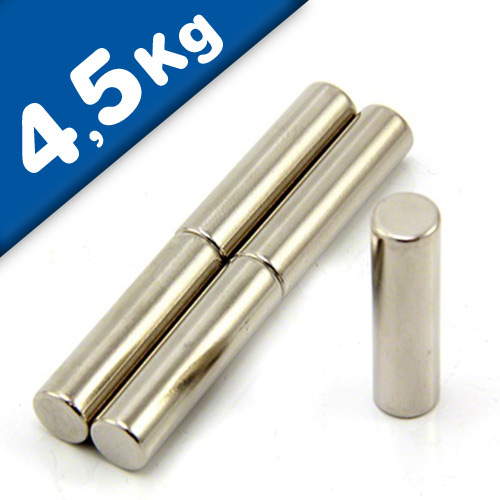 Rod magnets have a magnetic length which is larger than their diameter. 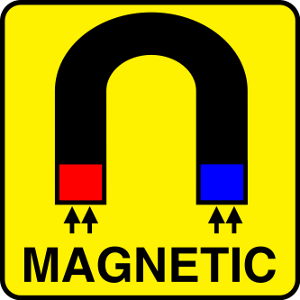 This enables the magnets to generate very high levels of magnetism from a relatively small surface pole area. 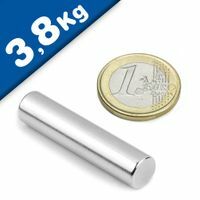 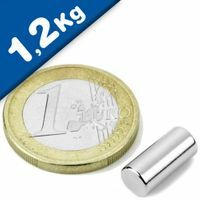 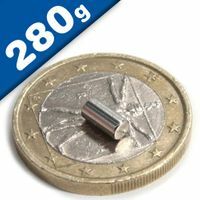 These magnets have high 'Gauss' values because of their greater magnetic lengths and deep depth of field, making them ideal for activating reed switches, Hall Effect sensors in security and counting applications. 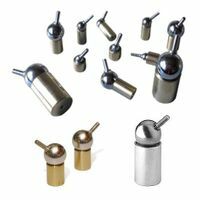 They are also ideal for educational, research and experimental uses. 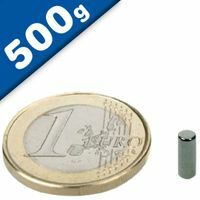 or even as an executive desktop toys.